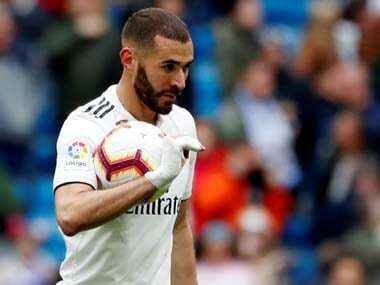 Madrid: Real Madrid's French forward Karim Benzema has shrugged off criticism about his lack of goals this football season and said the role of a modern forward is more than just scoring. Some Real Madrid fans want to see more from the Frenchman, who has a current tally of around 181 goals in 371 matches, reports Efe. "Lack of goals? It depends on how you see soccer. For me, a modern forward is not just about scoring goals. He should participate in the game, open spaces for others and assist," he said on Thursday at a press conference after extending his contract with La Liga heavyweights Real Madrid until 2021. "Of course I want to net more goals, it is important for the team, but there are also other things to do. I think about the team. I work hard in front of the goal to score more, but a modern forward must do other things related to passes, movement and spaces," he continued. He said that criticism is part of his life. "There is criticism and that takes you to the highest level. I am here, I know how it is. In this club, there is a lot of criticism and it is fine. It is part of my life. I am here to work and that is it. When people criticize, they are expecting more from me," he added. Benzema, who joined Real Madrid in 2009, said that his first season with the Spanish side was the worst as he was forced to adapt to his new life both on and off the pitch. 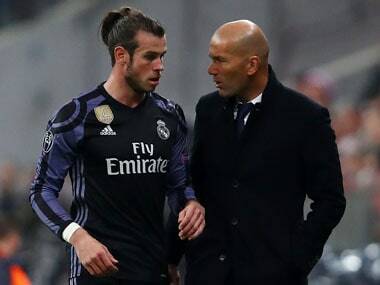 He said he had faith in Real Madrid's ability to recover from what some deem a lacklustre start to this season, characterised by the team's 0-1 defeat against Real Betis at the Santiago Bernabeu in Madrid on Wednesday evening. "The beginning has not been good. It happens to all big teams, I have faith in my team, we are fine and we are working together. It is just the beginning. 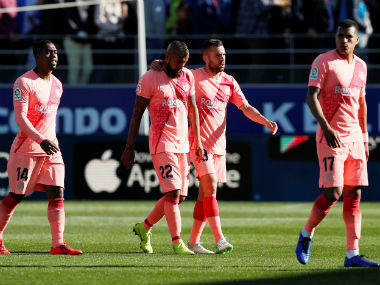 We are trailing (Barcelona) by seven points but we are united. Last year we won a lot of titles and we are Real Madrid. We will fix it in the next game," he said.